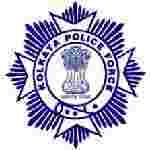 Kolkata Police recruitment 2017 notification has been released on official website www.kolkatapolice.gov.in for the recruitment of 50 (fifty) vacancies for Civic Volunteers. Job seekers should apply on or before 10th December 2017. Here on this page you will get the details like the Name of vacancies released by Kolkata Police with exact number of posts. Some other criteria like Education details, application fee and way to apply application for Kolkata Police recruitment 2017. Educational Qualification: Class VIII pass from a recognized School. Age Limit: The age of candidate should be between 20 to 60 years as on 01.09.2017. Interested and eligible aspirants should apply in prescribed application form along with self-attested photocopies of the relevant documents in evidence of your Age Proof, Address Proof, Academic Qualifications and Self-Attested copy of Driving License send to the DROP BOX kept in the Control Room Body Guard Lines, 7, D.H. Road, Alipore, Kolkata – 700027 on or before 10.12.2017.